I’m still alive, thanks for asking. First announcement: NYC is so rad. But seriously, y’all. I’ve been choosing sleep over food.. WHO AM I. We went and got all our stuff from CO, which included several boxes labeled “KITCHEN” with a sharpie. Happy dance. 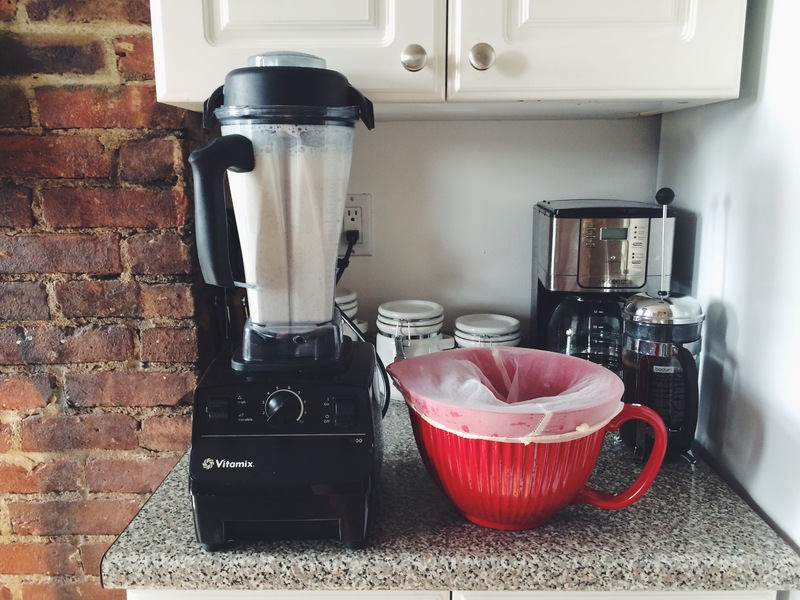 Pots, and pans, and a means to make coffee…so basically, all my dreams are coming true. I’ll give it to you in a few easy steps. 1.) Soak 2 cups of raw almonds in water overnight. Make sure they are covered. 2.) In the morning, drain and rinse them. Pour them into blender of choice. 3.) Add 6 ISH cups of filtered water. Blend on high for 40-60 seconds. 4.) Pour this mixture into the nut bag over a big bowl. Then squeeze out all that liquid gold. 5.) I use the leftovers nut grounds for making Raw Vegan GF Cookies. You can add it to smoothies as well; it is very nutritious! 6.) If you so desire, you could add vanilla, or honey, or cinnamon, or chocolate…but Andy and I like our milk plain jane. Suit yourself. 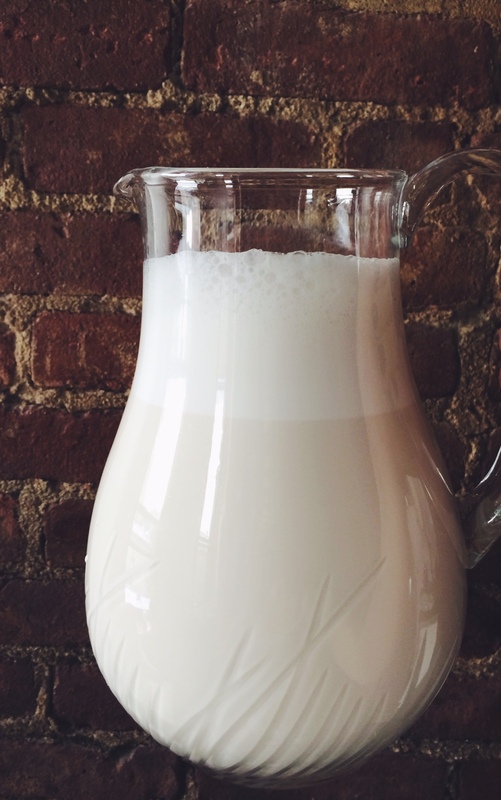 Keep your Almond Milk refrigerated. Since this is a raw food, it typically lasts between 3-5 days. So if you don’t go through it fast enough, cut your recipe in half. There is a natural separation that will occur and it looks funny. That’s normal. Just be sure to stir or shake well, before serving. Andy has it with his cereal. I like it in smoothies, or just a cold glass with a piece of Green & Black’s dark chocolate. Store bought Almond Milk will not compare to the reeaal deeeaal. Give it a shot.